Shepherd's hut for 2 with lovely views, on a working hill farm in the North Yorkshire Moors National Park near Bilsdale. Unique 6-berth with hot tub & roof garden near Hampton Court Palace. Skippered boating holidays & cruises can also be arranged. A genuine tree house, in Devon. 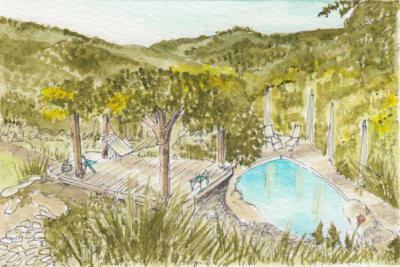 Perfect holiday for 2 with a difference - What could be more romantic! 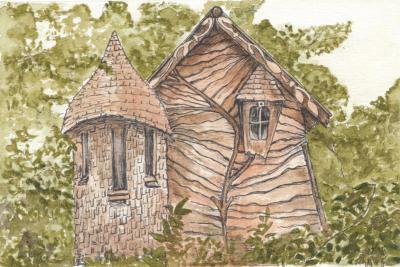 Romantic treehouse for 2 in a secluded woodland retreat near Theddingworth. 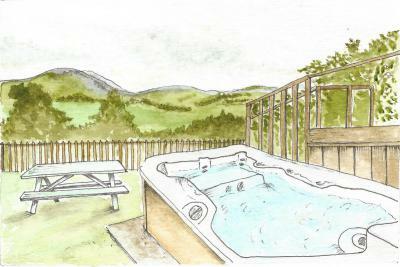 Luxury camping pods with stunning views - two with private hot tubs near Settle. 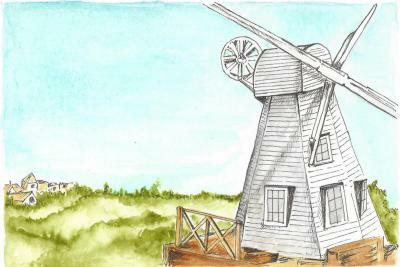 For couples, families, cyclists and country lovers. 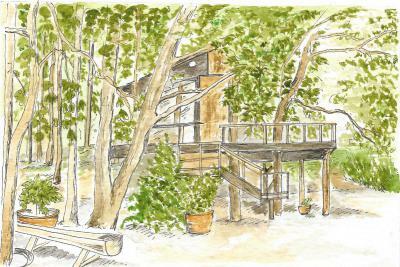 An exotic Asian treehouse with pool and views, secluded in the Park of Haut-Languedoc. Under 2 hours flight from London. Romantic, relaxing + unique. 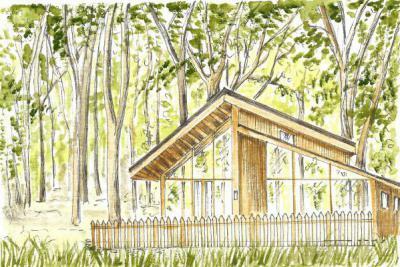 A multi-award winning site on the edge of the Peak District offering luxury yurts + cabin plus wood-fired hot tubs + sauna. Minimum 2 night stay. 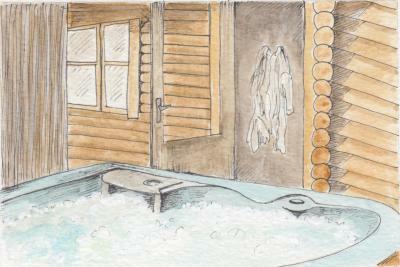 Three beautiful romantic yurts with hot tub and sauna access in a rural location near Welshpool. Beautifully furnished glamping. Authentic Mongolian yurts & Bell Tents near the New Forest + beach. Groups for up to 40. Closed in winter. 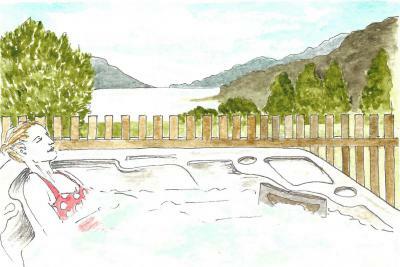 Apartments for 2 at a restored Abbey at Loch Ness, with use of club house, pool and sport facilities. 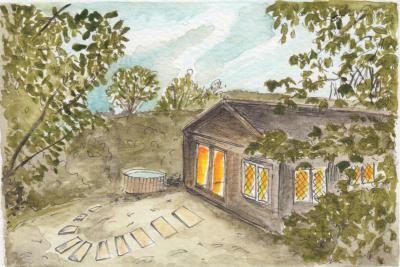 Beautiful yurts in the Nidderdale + close to the Yorkshire Dales. Great for couples, families + groups, WITH HOT TUB. Closed in winter. 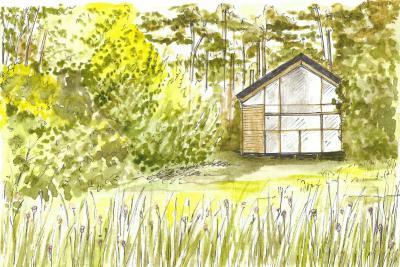 Fabulously quirky cabin for 2 with private wood fired HOT TUB and fantastic countryside views - near Totnes. 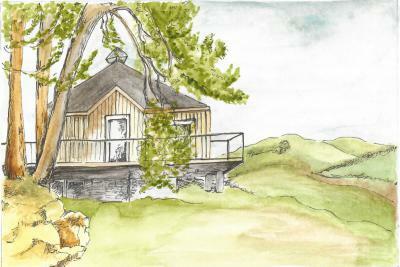 Handcrafted shepherd's hut for 2, with kitchen and en-suite, in the heart of the Peak District. Beautifully styled + themed yurts with private bathroom with steam cabin. HOT TUB. 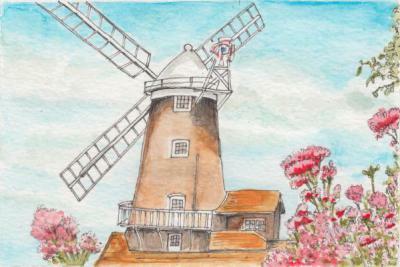 Set in a large field just outside the small village of Welton. Romantic stay for 2 in a converted wooden hut, offers a fun and quirky hideaway in a secluded garden with a private Hot Tub. ADULTS ONLY. 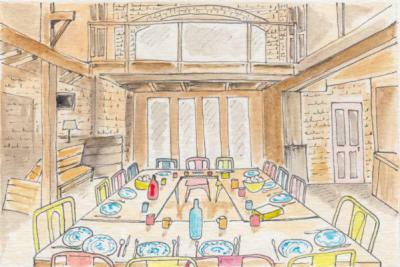 Converted barn offers a romantic getaway for 2 near Richmond. 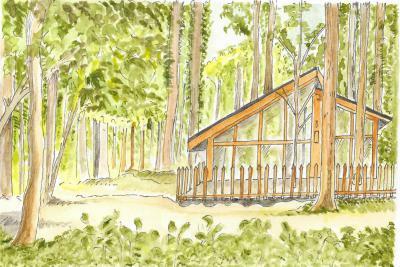 Award winning eco-friendly and peaceful glamping location in West Wales. Campfires, amazing stars, great views and friendly hosts. 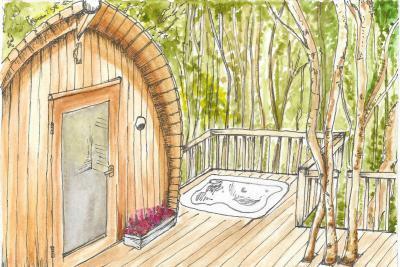 3 adult only yurts, a roundhouse with outdoor bath and a treehouse in a stunning natural setting. Sauna for guests use. Near Yeovil. Romantic getaways with wood-burning stoves + star gazing windows. Individual, unique and private, near Dunblane. Stunning barn conversions, each for 2 adults, set in picturesque countryside near Crewkerne. Ted & Len, beautiful handcrafted shepherd's huts for 2 on the Mendip Hills, Glastonbury, with unique eco hot tubs, breathtaking views. Stylish and cosy, a Shepherd Hut for 2 in famous town of Eyam in the Peak District. 2 luxury treehouses for couples with private hot tub + breathtaking mountain views. Very popular! Romantic shepherd's hut for 2 surrounded by wildlife near Harrogate. Soak in their woodburning hot tub + roast marshmallows on the fire pit! Great holiday for rail enthusiasts, families, couples, dogs. Restored carriages in St Germans & Hayle + a carriage for 2, wheelchair access. Boutique glamping (all with hot tubs) in the Peak District offering luxury Tipis + Yurts for 2-5 people. Groups of up to 26. Closed in winter. 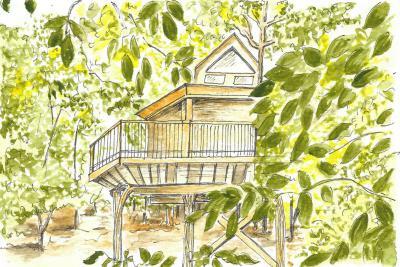 Treehouse for 2 with coastal views + luxury eco-pods good for families. On farmland close to beaches in Bude. Stylish, modern houseboat on Mersea Island near Colchester, with views of beach and Blackwater Estuary. 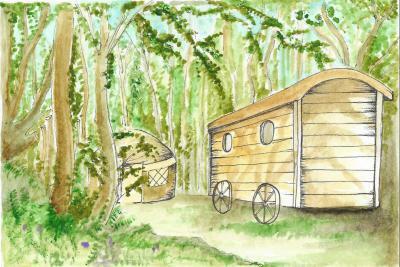 Exclusive self-catering Shepherd's Hut for 2, nestled in a cluster of trees. Views across the valley + of Cadair Idris mountain. 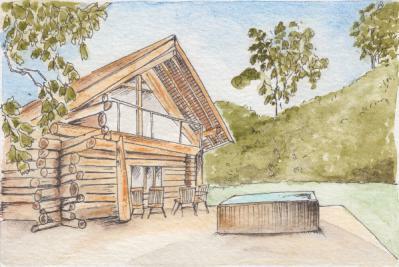 Enjoy the HOT TUB + sauna at this luxury log cabin near Whitstable + Druidstone Wildlife Park. Sleeps 2-6, ADULTS ONLY. Unique, spacious, warm, narrowboat holiday hire & houseboat stay near Manchester - operating since 2012. Have a look! Classic 6-berth yacht near Hampton Court Palace with all the mod cons. Skippered boating holidays + cruises can also be arranged. 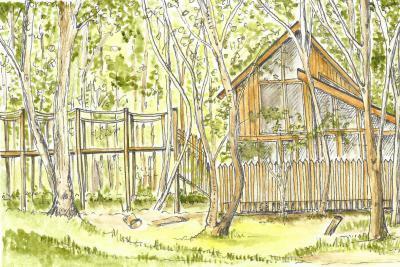 Idyllic cabins & treehouses for 2-10 people in Sherwood Forest. SPECIAL OFFER: SAVE UP TO 15% ON A CABIN STAY WITH HOT TUB! 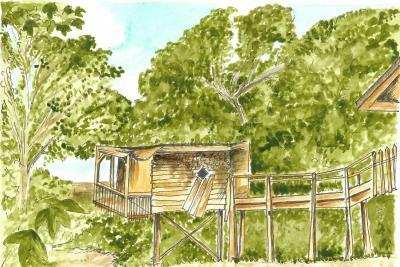 Stay in the treehouse or one of two yurts in this woodland valley on the Welsh/English border close to Presteigne. 2 night minimum stay. 4 beautiful huts with lovely views and lakeside HOT TUB at Crewkerne. Relax in the Sauna or fireside on private decking. Adults only. Two gorgeous en-suite shepherd huts with stunning views that will have you heading for the hills of the Scottish Borders. 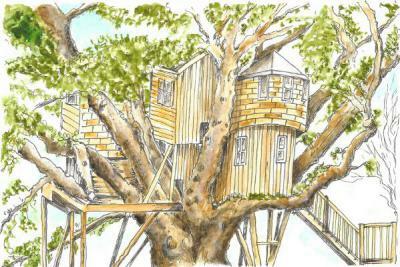 An impressive self-catering luxury treehouse for a couple, or add 2 in bunks, in the grounds of a hotel in Chulmleigh. Also elegant Eggesford Suite. Tree temple, huts + Bell Tent for 2-4 in stunning woodland offer a relaxing rural break with the North Norfolk coast nearby. Dip in a HOT TUB too! The Tree Howf sleeps two, with outdoor and indoor cooking facilities, a wood-burner and star gazer, near Dunblane. 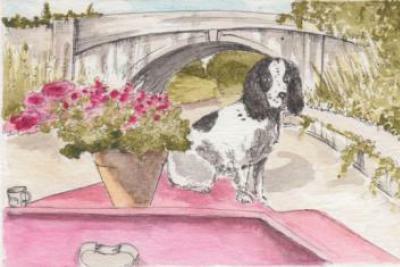 A sophisticated self-catering American Airstream for 2, in a pretty garden near Dartmouth and the River Dart - with private HOT TUB. 3 luxurious eco-huts for 2 adults and a rustic hut hostel for up to 8 guests in the Cairngorms Nat.Park. SAUNA & HOT TUB. Luxurious yurts with hot tubs and ensuite bathrooms located close to Gleneagles sleep 2 people for a romantic getaway - Adults only. Boutique Narrowboat sleeps two. Leicestershire's most luxurious floating couples retreat. Novices welcome. Min 3 night stay. Stay in colonial splendour in a restored Edwardian Pullman carriage or the former Station, set in the heart of The South Downs. 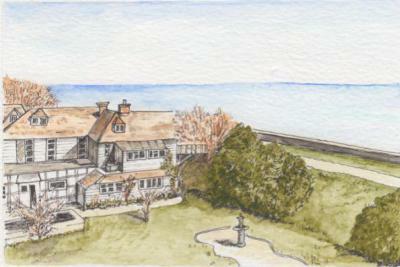 B&B offering art deco design and vegetarian breakfast with a generous helping of history, near Walsingham and coast. Modern boutique B&B offers 3 stylish rooms for 2 people in Margate. This castle hotel provides total relaxation in a beautiful loch-side setting within reach of Edinburgh. Choose from spa + fitness sessions! 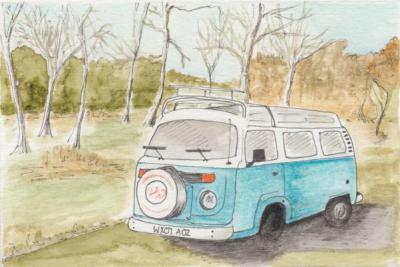 Relaxed, un-regimented car-free camping and glamping in the Waveney Valley, South Norfolk. 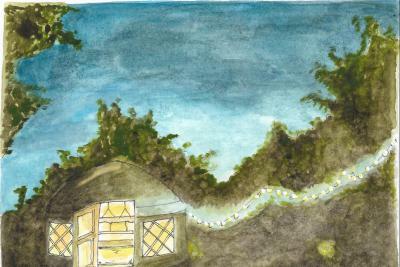 Glamping, huts, tree tent and more. A selection of glamping options including a tepee, yurt, geodome, log cabin and gypsy caravan all with country views in Markethill. Lovely rural family run farm hideaway offers pods, caravans and a bell tent near Kendal. Traditional Shepherd's Huts with modern comforts, set in secluded grounds at Boundary Farm. Each sleep 2 guests. Relax in this eco-friendly upcycled shepherd's hut for 2 set in Abermule in rural Wales. Set in its own field this is perfect for total seclusion! Converted shepherd's hut near Wells offers a romantic rural getaway for 2 people. Bunkhouse with 1 double bedroom and 6 luxury bunks offers accommodation for 14 people, perfect for hen + stag do's near Hay-on-Wye. 3 night min stay. Unique Mexican styled home with stunning location and 360º views next to Abiquiu Lake. An hour from Santa Fe.